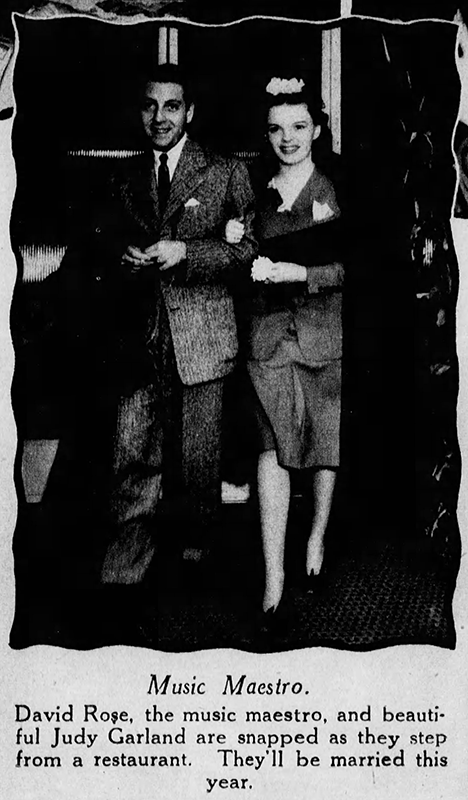 February 9, 1938: Two articles. 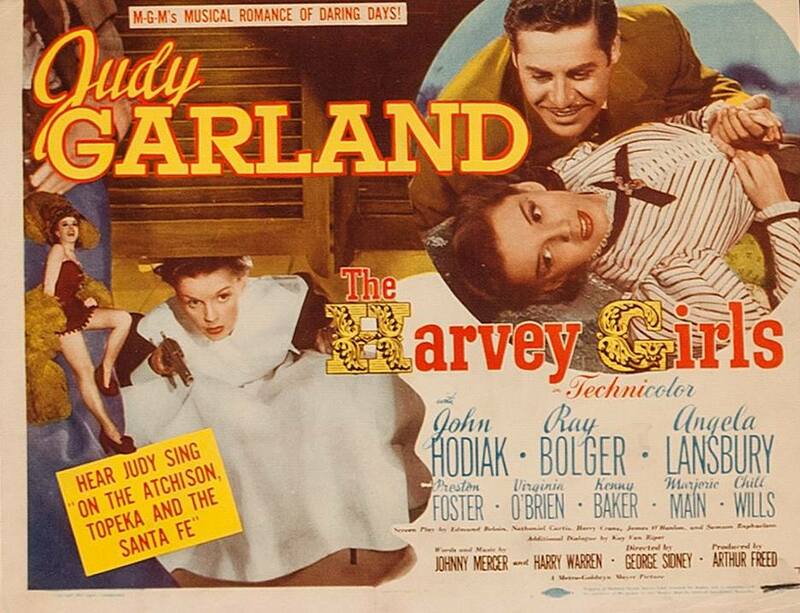 The first tells the fanciful story of how Judy saved a black cat that was found sleeping on the Everybody Sing set. The technicians who found the feline were about to “fling her out into the cold dawn” when Judy arrived and saved her against their protestations that the cat was black and therefore bad luck. Clark Gable got into the act when Judy took the cat around “to almost everyone on the lot” and bought it a collar which he autographed. February 9, 1941: Here’s an example of the type of celebrity photo pages that were popular at the time. This one is called “Hollywood Night Out” and on this day featured this photo of Judy with fiance David Rose. 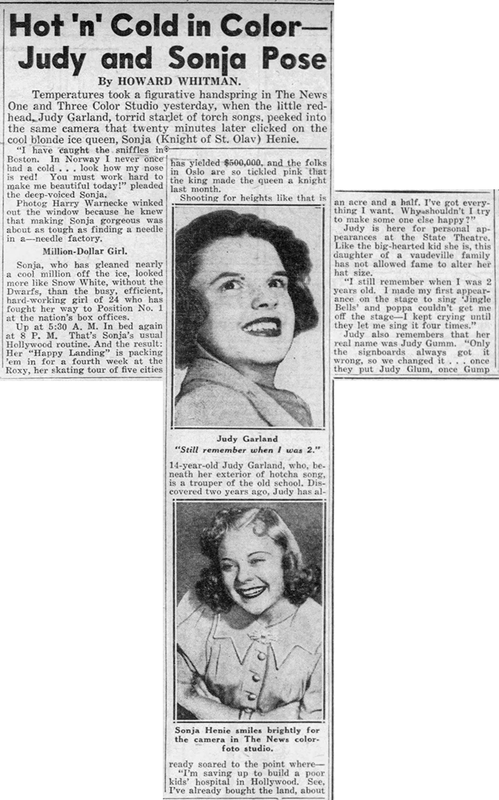 The second clipping gives examples of the kind of fan mail Judy received which were usually “from boys and girls of about her own age.” As with the 1938 articles above, this article is no doubt more fantasy from MGM’s busy publicity department. 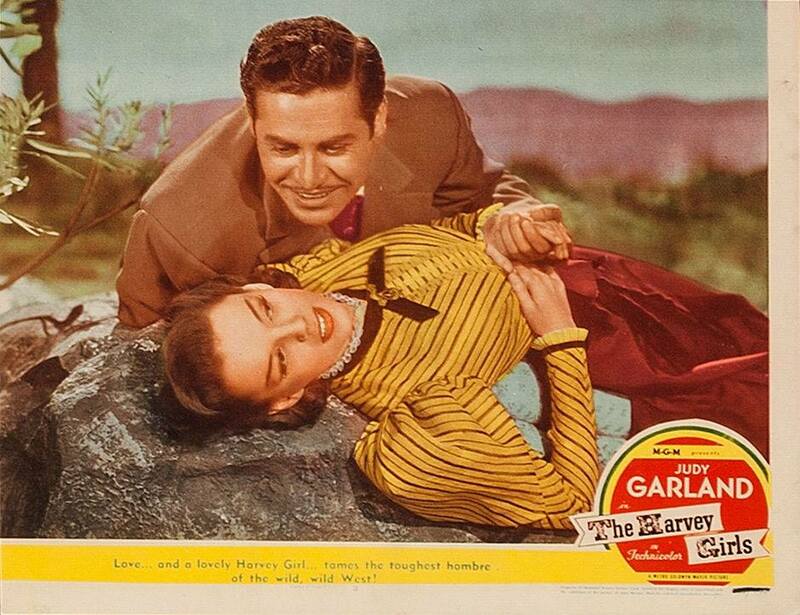 February 9, 1941: Judy appeared on the “Chase and Sanborn Hour” (aka “The Charlie McCarthy Show”) on NBC Radio. The stars of the show were Edgar Bergen and his puppet, Charlie McCarthy. No information is known about this broadcast. February 9, 1941: Here’s a fun ad for the Decca Records cast album of songs from Meet Me In St. Louis. 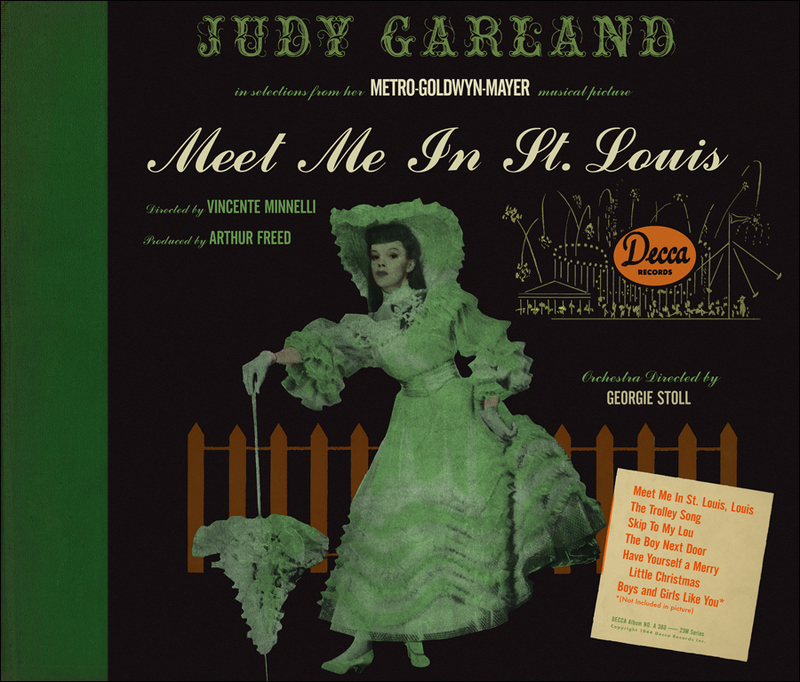 Check out The Judy Garland Online Discography’s Pages on Decca’s Meet Me In St. Louis album here. February 9, 1943: Judy’s second day back on the set of Girl Crazy, specifically the “Interior Western Dance Hall” set, after being out due to overwork and exhaustion. Time called: 11:00 a.m.; dismissed: 6:00 p.m.
Photo: MGM star Virginia Weilder gets Judy’s autograph on the Girl Crazy set. At 4:30 p.m. yesterday, Thursday, the company called Miss Garland to give her Friday’s shooting call. At this time Miss Garland advised the company that she could not work until possibly Monday due to having two teeth extracted and or which a bridge was being made. At 12:45 p.m. today, Friday, I telephoned Miss Garland at her studio dressing room to inquire if the situation as the same and she advised it was, Mr. Grady [an assistant] communicated with Miss Garland’s dentist, Dr. Pinckus, and received the information that Miss Garland will receive the bridge on Saturday, wear it Saturday and Sunday and be in Dr. Pinckus’s office on Monday morning for a checkup. Mr. Grady therefore advises Miss Garland should be ready at 1 p.m. on Monday morning for shooting purposes IF the dentist reports the bridge satisfactory. 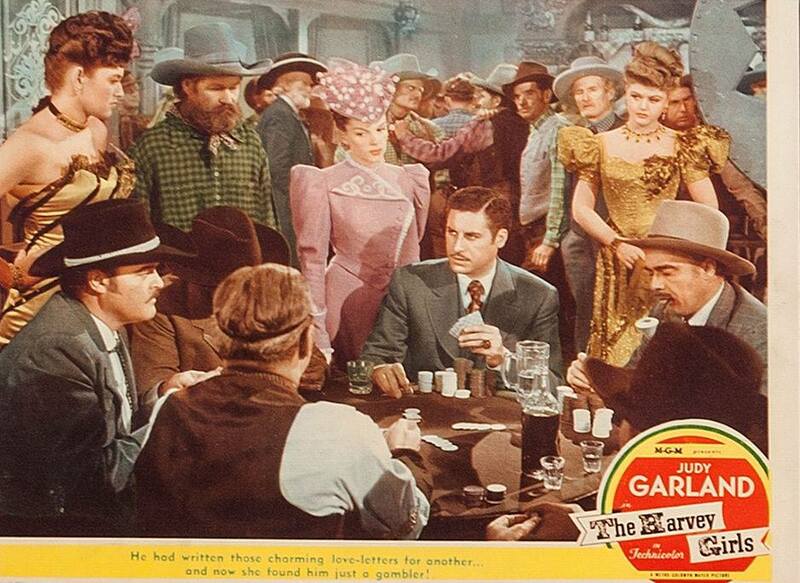 Under the present conditions it would not be wise for the company to plan a shooting day on Lot 3 [on MGM’s “Western Street” which was dressed up for the film as “Sandrock”] on Monday, with a big crew and talent list, on the possibility of getting a couple hours work in the event Miss Garland is available. 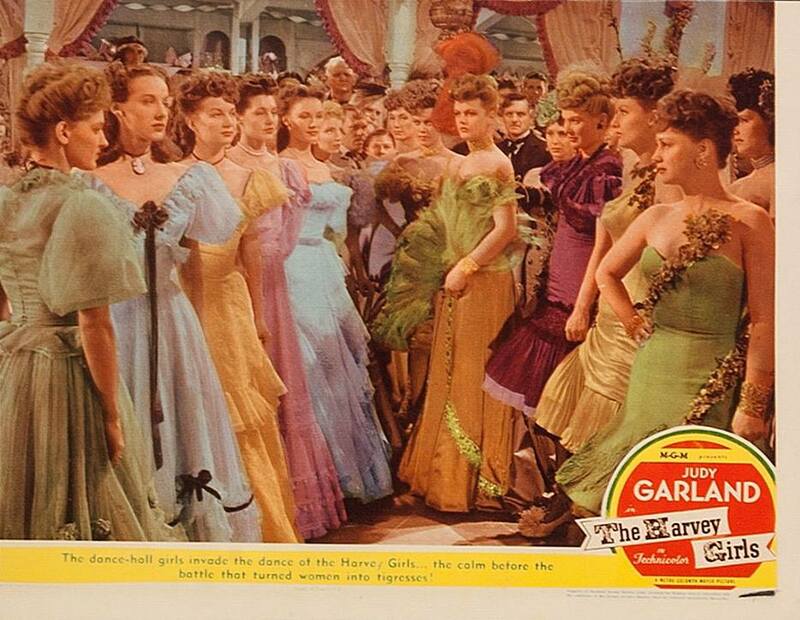 Inasmuch as we have nothing to shoot at this time without Miss Garland we must avoid a shooting call for Saturday. We therefore plan on rehearsing musical numbers Saturday and Monday. 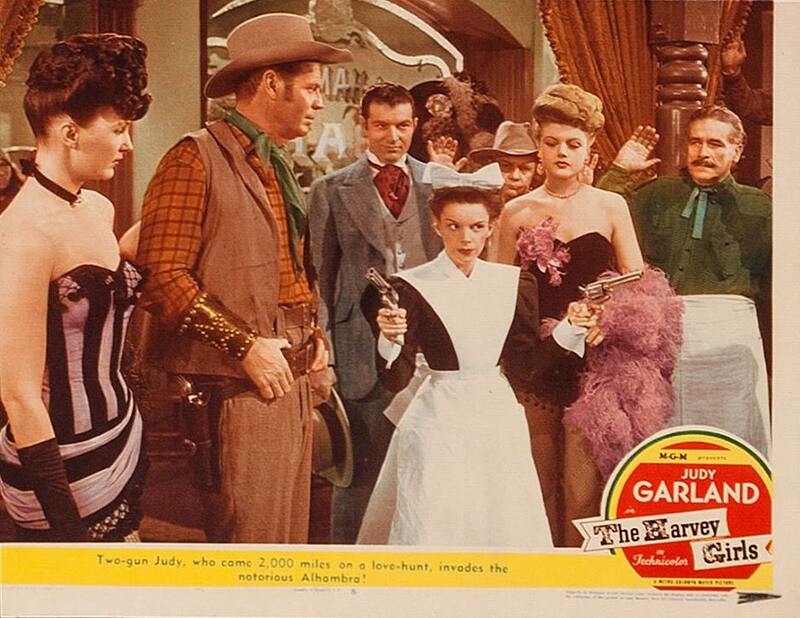 The AD reports for that following Monday state: Judy Garland was given a 1:00 shooting call which she didn’t accept on account of her teeth. The call was then changed to a 1:00 p.m. wardrobe fitting; she didn’t come in for fittings. February 9, 1948: Easter Parade filming consisted of shooting the title song that ends the movie, on MGM’s Back Lot #2, the “Exterior 5th Avenue” set which was a part of the massive “New York Streets” section of Lot #2. 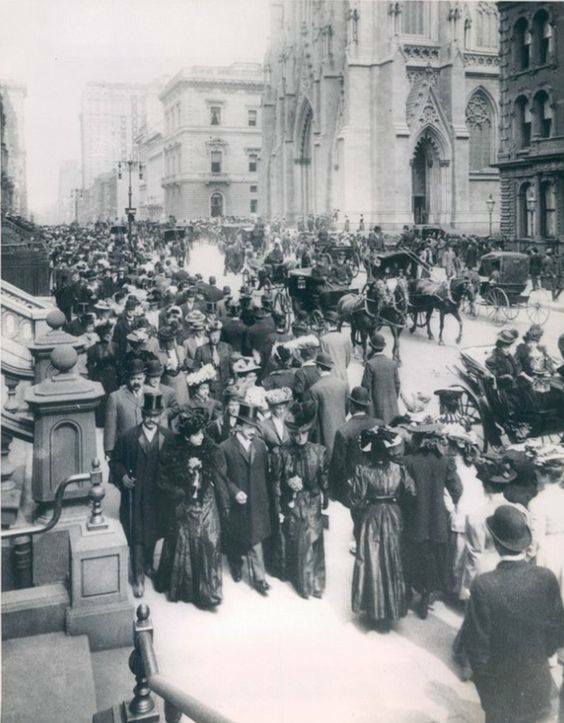 The scene shot was that of Judy and Fred Astaire walking in the Easter Parade. 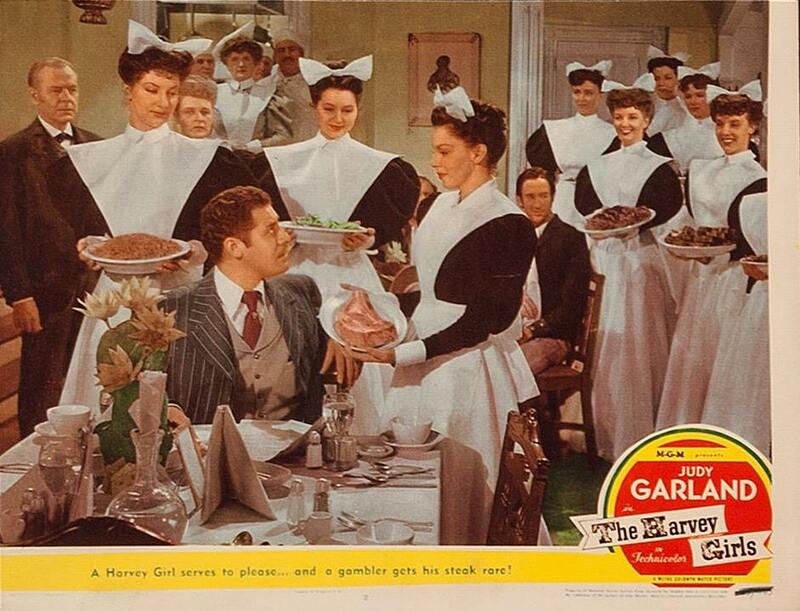 This was blended with footage shot on a specially built “Easter Parade Street” on MGM’s Back Lot #3. The set was built at the end of “Drumhead Road” (not too far from the “St. 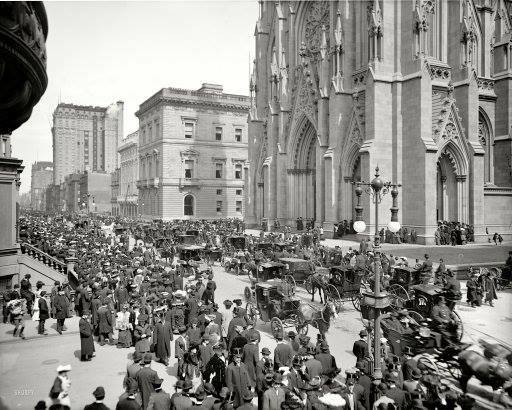 Louis Street”) and had a height of over ten feet. 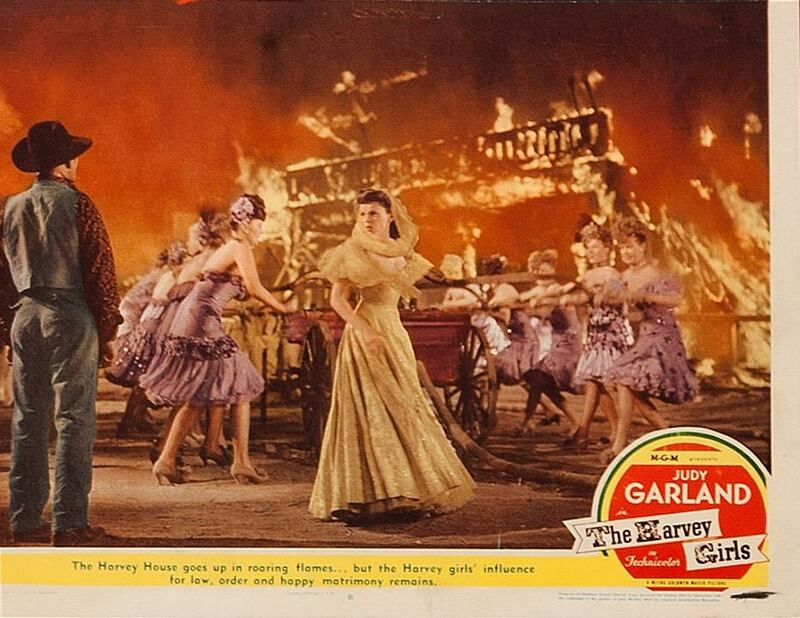 The shots of extras in cars, horse & buggy, and walking were then blended (as noted above) with the footage of Judy and Fred, with a matte painting completing the final shot. A great ending to the film! Judy was in makeup for the day at 8 a.m. and arrived on the set at 10 a.m. The company was dismissed at 2:35 p.m. 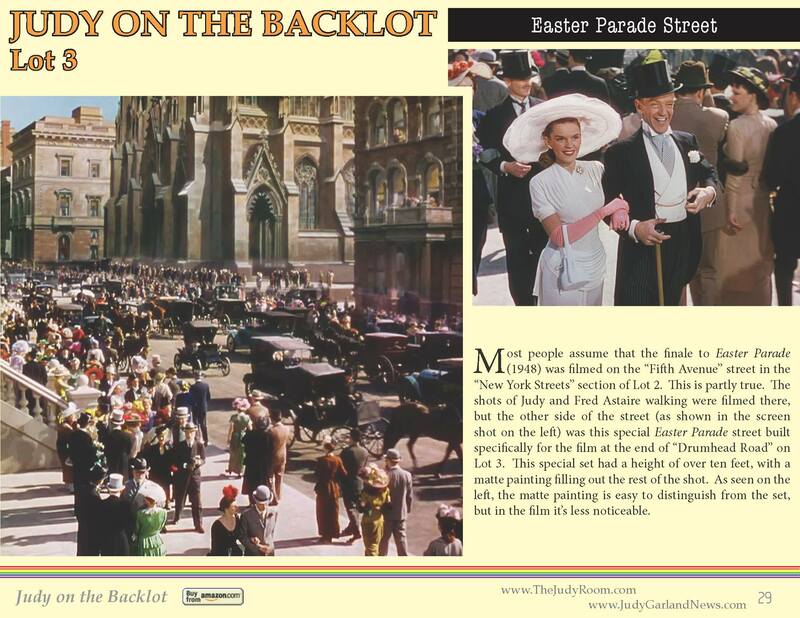 This completed filming for Easter Parade save for some retakes on March 12th. 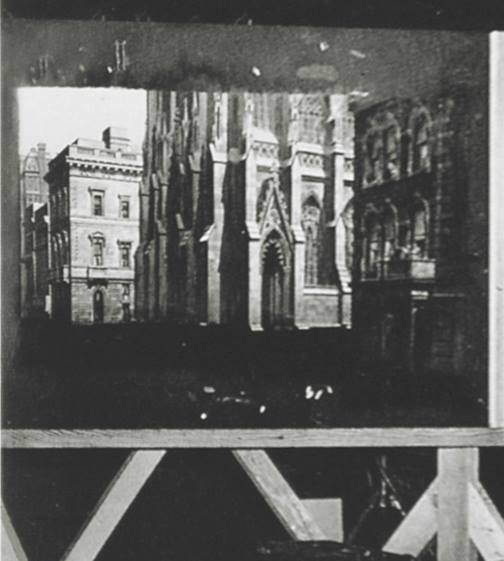 Photos: Page from “Judy on the Backlot“; Rare photo of the matte painting that completed the effect; The original early-1900s photos that inspired the shot. February 9, 1954: Filming on the “Someone At Last” number continued on the “Interior Malibu House” set for A Star Is Born. Time called: 10 a.m.; finished: 5:15 p.m.
Photo: Judy and James Mason during the filming, photographed by Bob Willoughby, provided by Kim Lundgreen. Thanks, Kim! 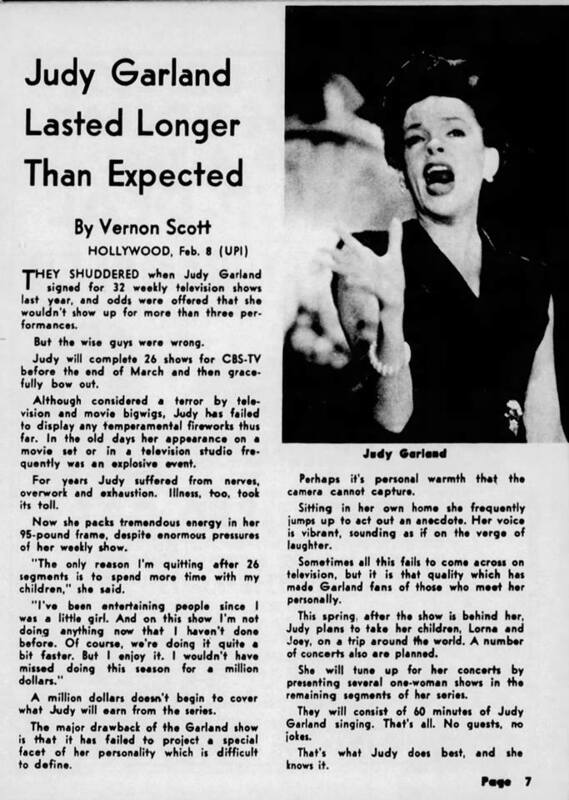 February 9, 1964: This article about Judy’s show ending was published in papers around the nation. 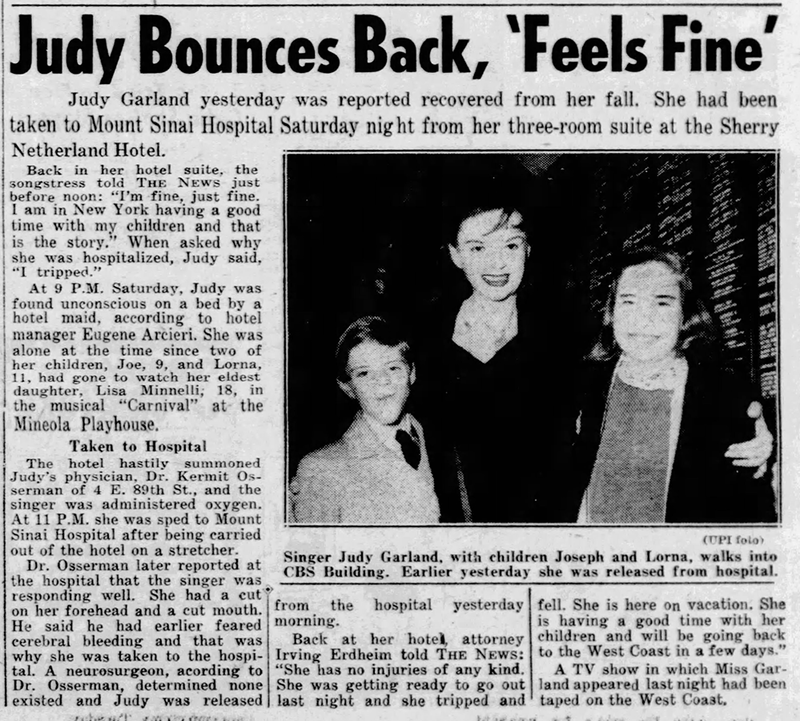 February 9, 1964: Judy was in New York on a one-week break from the taping of her TV series “The Judy Garland Show” when she slipped and fell in her suite at the Sherry-Netherland Hotel on February 8th, suffering a mild concussion. She spent the night at the Mt. Sinai Hospital under the care of her physician, Dr. Kermit Osterman. She was released the following day. February 9, 1964: “Episode Twenty” of “The Judy Garland Show” aired on CBS-TV. The show was taped on January 24, 1964, at CBS Television City, Studio 43, Hollywood. 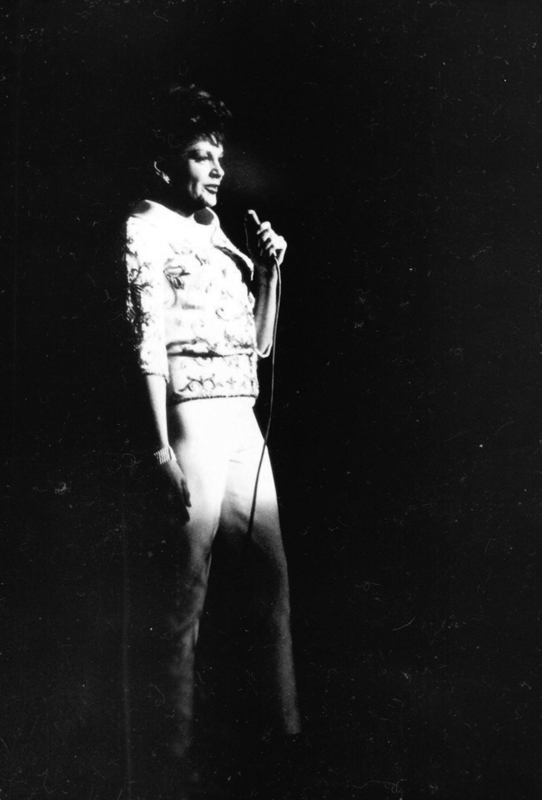 The show was the first in the new format of “Judy in Concert” – just Judy and the boys in the band (and sometimes some dancers). 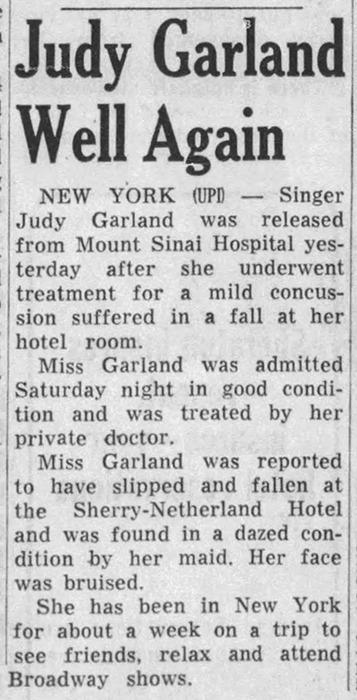 February 9, 1965: The following article appeared in the “Toronto Telegram.” Judy had opened at the O’Keefe Center the night before and would play there through the 13th, with a cancellation of the February 10th shows due to her severe cold and laryngitis and no show on the 12th. SO AUDIENCE SINGS FOR JUDY! 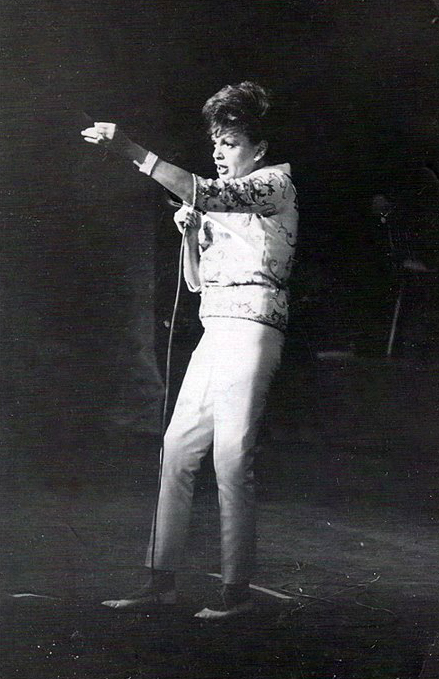 Judy Garland had been on stage 40 minutes and was midway through her ninth song last night when it happened. Her voice broke. She reached for a note and it came out a croak. The capacity O’Keefe Centre audience gasped and waited. Judy clutched her throat and said ‘ugh’ in frustration and went on. The applause at the end of the song was, if anything, more vigorous than ever. But six songs later, it happened again. She was climbing a swanee crescendo when it cracked. “We’ll try that once more,” said Judy unsmiling, “everybody deserves a second try.” The orchestra backed up and tried again, again Judy broke. “I’ll be damned,” she muttered. At that moment, a woman’s voice trilled from the balcony. “We still like you.” And the rest of the audience roared its accord. They proved it a few minutes later, when Judy started OVER THE RAINBOW, and stopped after a few bars. “I can’t sing anymore,” she said lightly, “you’ll have to sing it to me.” They did. 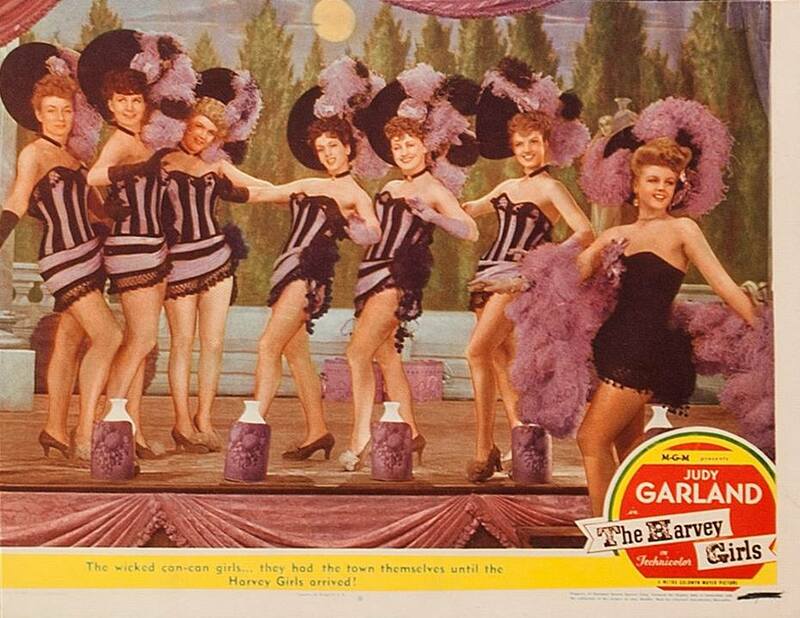 And when it was finished and Judy stepped to the edge of the stage blowing kisses, they rushed down the aisles in dozens to clutch her hands, to touch her, just as they always do at a Judy Garland concert. Make no mistakes, this was a loving audience that finally wound up on its feet in a standing ovation. But the applause seemed largely a matter of reassurance, as swelling end of that sympathetic cry from the balcony, “we still like you”… no matter what. 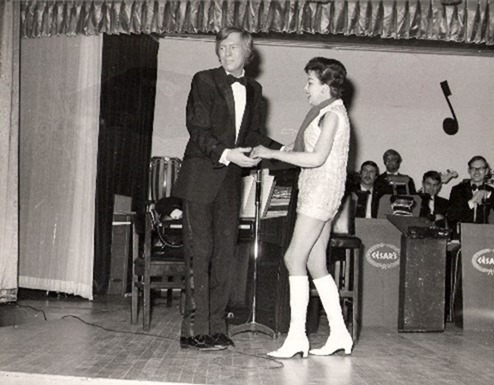 There must have been some genuine delight as well as pure loyalty in the applause, however, for Judy had sung 14 other songs without incident. Sung them well and easily and happily. And she never looked better. Stepping on to the stage to begin the second half of the show in an ankle length, white silk gown, appliquéd in gold with typical box jacket, she looked fine. Her figure was trim too, when she turned up later in slim white slacks and sweater. She seemed the Judy of old, with the endearing gestures, the hand on hip or lifted to press her cheek. And the sweet husky voice was powerful, with the big band pounding behind through all the favorite standards. 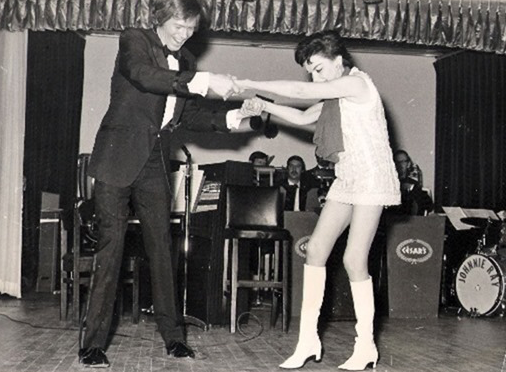 February 9, 1969: Johnny Ray joined Judy on stage at Caesar’s Palace in Luton, England, where he was performing. Judy had just seen his show at the venue on Tuesday, January 21. 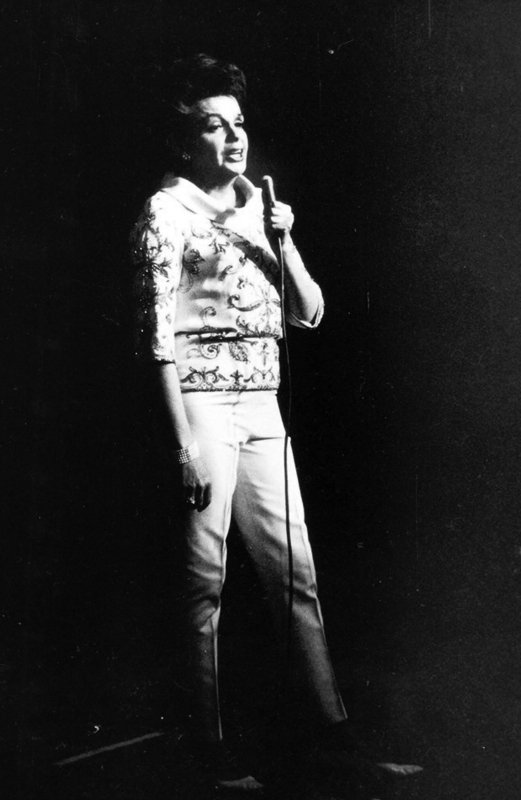 Ray jokingly held up a sweater from the stage that Judy had washed – and it had shrunk to the size of a child’s t-shirt. Obviously, Judy’s housekeeping skills were not the greatest. I think it’s enough that she was a genius performer.